Finding the right program or materials can be difficult when helping struggling readers. 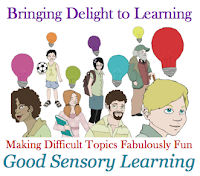 In addition, most of these resources require that the students have the basic cognitive skills needed to read. But what if they don't? For many, reading is difficult because specific cognitive weaknesses trip them up. Their eyes, for example, may have a hard time tracking from left to right on the page or they may find that they experience word or letter reversals. What's more, they may experience the letters move or jump around the page. 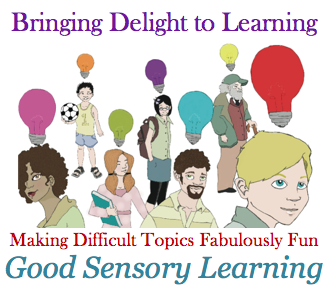 Finally, they may struggle with processing the complex visual information or even focusing their attention. For these students it is important to strengthen these basic skills before layering them and asking them to tackle the difficult process of learning to read. 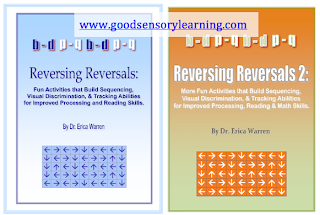 Reversing Reversal and Reversing Reversals 2 are two workbooks that were designed to help students develop the strong foundation they will need to experience success in developing their reading skills. Come get a free downloadable sample of both publications and learn more. Click Here.